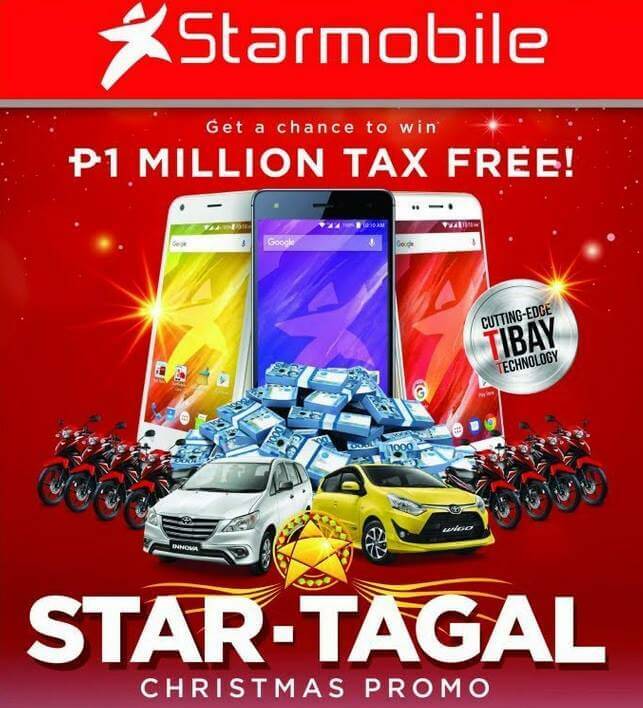 Starmobile kicked off its STAR-TAGAL Christmas Promo with over Php4,000,000 worth of prizes to be given away until December 31, 2017. Customers can take home hundreds of new Starmobile devices, home appliances, eight (8) Honda motorcycles, two (2) brand-new Toyota cars, or Php1,000,000 in cash. To join, consumers must purchase any Starmobile product. Each device purchased during this period comes with a unique code that will be used to register via SMS. The grand raffle draw will be held in January 2018 wherein a lucky winner can drive home a brand-new Toyota Wigo or Toyota Innova, or take home Php1,000,000 in cash tax free.